How bad is marine litter? 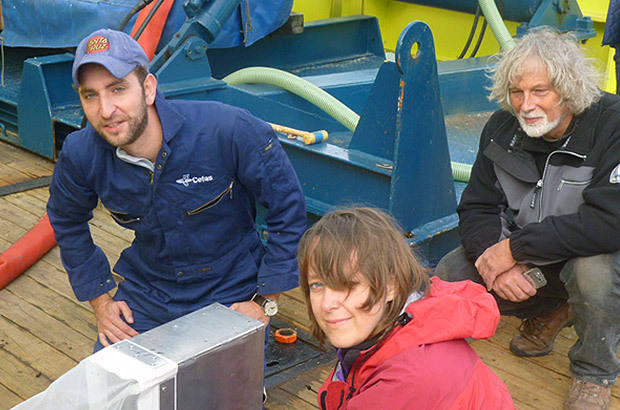 I’m Thomas Maes, a Cefas marine biologist with nearly 10 years’ experience of coastal and ocean monitoring. I manage Cefas’ Clean Seas Environmental Monitoring Programme and provide advice to the UK government on issues related to human impacts on the marine environment. To do that I take samples and co-ordinate experiments to determine the impact of different sources of pollution, ranging from chemical contamination to marine litter, on marine life. How did you get involved in the marine litter issue? I have always found it amazing how casually people deal with waste. Plastics began being produced at an increasingly industrial scale mid-way through the 20th century, and scientists began reporting the spread of plastic litter in the oceans from the early 1970s, only a few decades later. 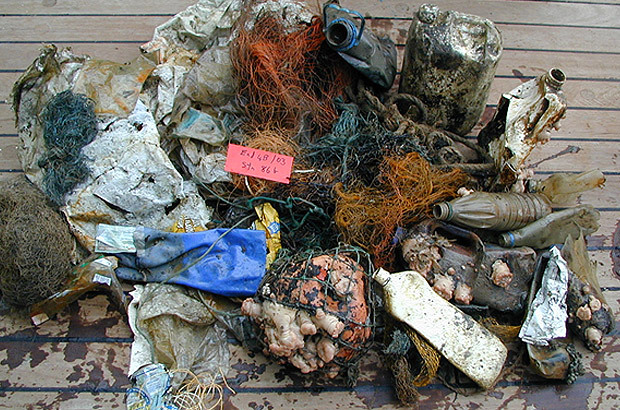 Cefas colleagues have been collecting marine litter data since 1992 during research cruises. When the fishing net came up there was often litter present, so it was catalogued. Since 2008 I have been analysing this data to assess the size of the problem. It quickly became clear that the majority of our catalogued marine litter was plastic (more than 70%) and that it accumulated in north European waters. Many plastics are buoyant and very durable, and their debris is commonly seen on coastlines worldwide. I live very close to the beach and as a kite-boarder encounter marine litter on a daily basis, which bothers me immensely. I’m often seen carrying loads of litter collected from Lowestoft’s beach. I’m involved in a project called MICRO, which aims to quantify the problem of microplastics in the seas around northern Europe. 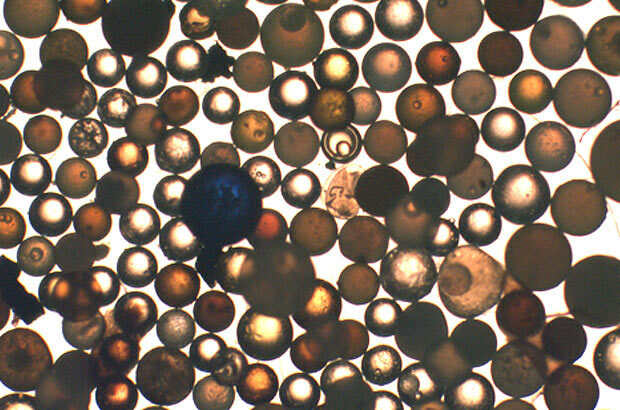 We model and sample to get a better idea of the distribution and types of microplastics in the ocean. This information will be combined with the results from laboratory experiments look at the effects plastic contamination has if ingested by marine animals. Ultimately it helps to inform policy so that we can develop measures to tackle the problem. Why do you think is it so important to assess the impacts of marine litter? Although entanglements or ingestion affect many different marine species it is much more complicated to identify and quantify longer-term or more chronic effects such as those caused by microplastic particles and the contaminants they may carry. Microplastics can damage or block an animal’s digestive tract or other organs. Even more worryingly, plastics can absorb other common chemical contaminants and persistent organic pollutants, which may lead to greater accumulation through the food chain. Through the MICRO project we’re exchanging with other European scientific institutes crucial research on microplastics and their impacts on a wide range of organisms. This means that we have a much wider view on ecosystem impacts, which will help us to deliver high-quality risk assessments and better co-ordination within Europe. About 70% of the surface of our planet is ocean and unfortunately we have also tended to regard it as a convenient place to dispose of our unwanted waste. Waste management across Europe is very patchy: several European countries recycle or reuse more than 80% of their plastic waste, while others struggle to reach 25%. I strongly believe that plastic pollution may gradually become less of a problem if waste is considered a valuable resource for recycling, reuse or energy-generation, and if people accept more personal responsibility for the waste they generate. This would require political commitment and investment and an integrated approach from all of us: scientists, politicians, the plastics industry, major users of plastics, retailers, user groups and the general public. Love your local beach and want to help keep it clean? Then why not sign up to the Marine Conservation Society Beach Watch initiative. You can follow us on twitter @CefasGovUK. Very sobering post for anyone who loves the ocean. Thankfully there are programs like MICROS and others across the world are taking action. But it things may get worse before they get better with <a href="http://www.oceanographynews.net/2014/07/02/425/&quot; rel="nofollow">recent research finding that ocean plastics are "disappearing"</a> (sinking? being eaten by marine life?). In the U.S., many states are now banning the use of plastic bags for groceries and such to keep them from littering beaches and waterways. Any thoughts on similar bans in the UK?